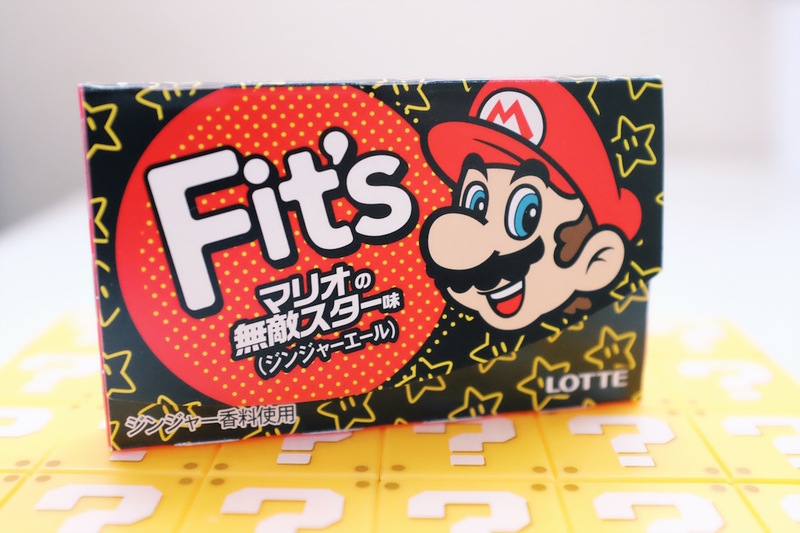 Everyone’s favorite goomba-stomping, mushroom chomping plumber brothers turned 30 this year, and to celebrate the occasion, Lotte’s chewing gum brand Fit’s released two limited edition flavors in special packaging, one each for Mario and Luigi. Don’t they look lovely? I couldn’t resist. Mario comes in a black and red box dotted with invincibility stars, while Luigi gets a cute background of turtle shells to represent unlimited 1UPs. If you don’t remember, in the original Mario Bros game, if you bounce a turtle shell back and forth against a stone brick enough times, you’ll start racking up free 1UPs. The attention to detail is amazing, right down to the individual gum wrapper design. And in a true homage to the original, we’re treated to the start screen when we open the pack. So, what does an invincibility star taste like? Or a 1UP? 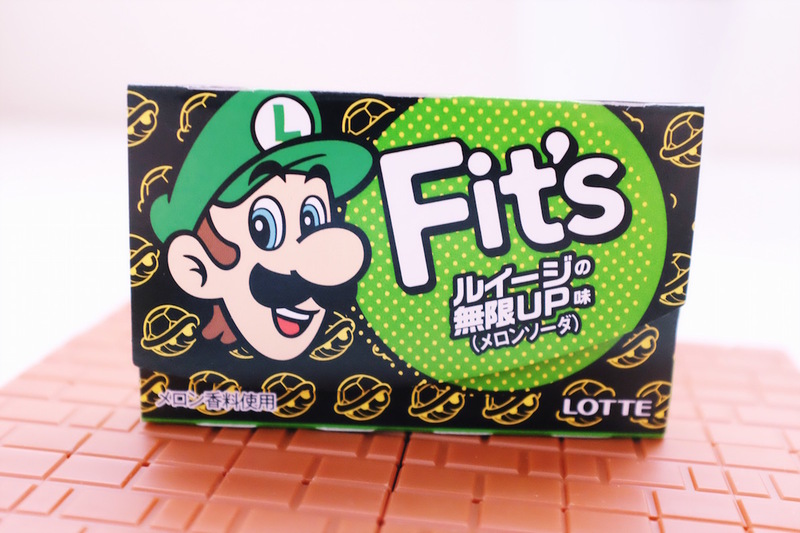 Well, awesome is hard to make into a flavor, so Lotte decided that invincibility stars taste like ginger ale, and unlimited 1UPs taste like melon soda. 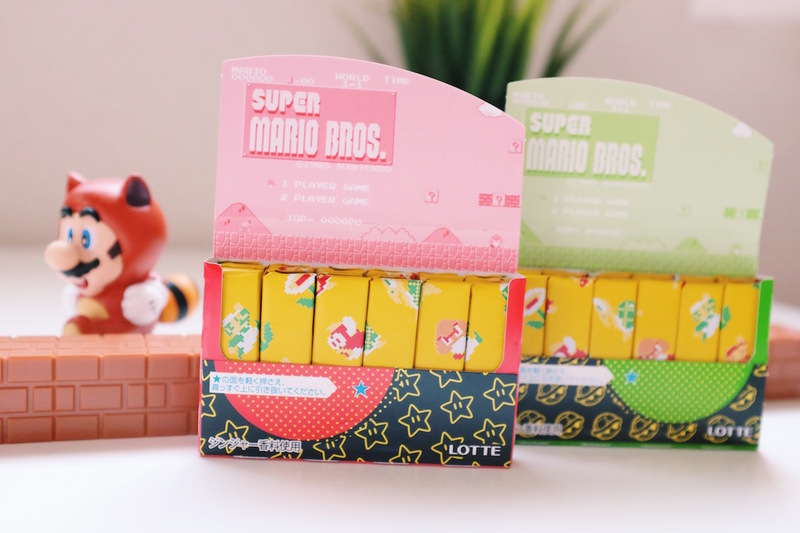 At only 130 Yen each, it’s the perfect souvenir for your friends back home, and they’re easily found at most convenience stores or supermarkets around Japan. Grab some while they’re still in this castle!